Are you planning a home renovation anytime in the near future? If so, be prudent about who you hire for the job. Many homeowners have fallen prey to fraud contractors over the years, leaving them in a situation where they lost a lot of money and their home renovation project was left hanging. Fortunately, there are several ways you can avoid certain home renovation scams and have a smooth home improvement project experience. Though you may already be familiar with certain types of scams, there are some newer ones that can trick those who are not careful. Check the contractor’s license and company profile. Do not hesitate to ask for these documents because they will enable you to ensure that who you are dealing with is actually licensed to do the job. Ask for at least three references. These references will allow you to get a review from their previous clients firsthand and also see examples of their work. Ask their references about their performance and conduct, so you can get an idea of how they work and if any issues arose that could raise red flags. Avoid putting all of your money up front. Try to negotiate so you pay only a small portion up front and then the remainder of the payment only after the job is 100% complete. This will assure you that they will not easily run away with your money because they won’t have the bulk of it until they finish the job. Seek recommendations. 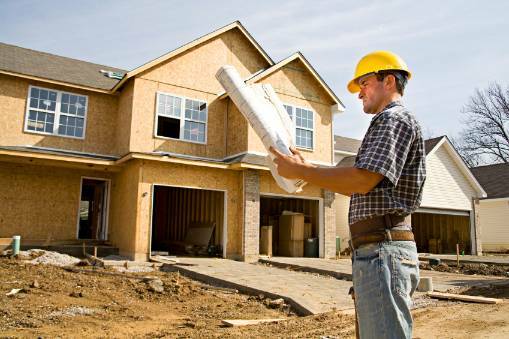 Friends with previous home renovation projects can recommend a good contractor. Seek recommendations from trusted friends and family, so you know you’ll be working with someone who is tried and true. If it’s too good to be true, then maybe it is. Sometimes, contractors offer great deals that are too good to be true. However, they often come with drawbacks that are not worthy of your investment, no matter how great the deal is. So, if someone offers a particularly extraordinary deal, think twice and dig deeper. Demand a written contract. It is a wise decision to put everything on paper because, in case there are issues in the future, you and your contractor will have something to reference.